Crumpling newspaper to start a fire in the wood stove, an article caught my attention. It was in the weekly that advertises trucks, horses and cracked corn for sale so I wasn’t expecting a primer on language. Yet here it was, the third reminder in a week that “said” is enough. And, it is a mistake that editors readily notice. When I don my editor’s cap for clients, I often work with other contract writers who interview a variety of people for industry profiles. I’m vigilant to change all the “he quipped” and “she exhorted” to “he said” or “she said.” The reason editors notice this mistake is because editors read for clarity. The creative attribution is not clear and can imply a certain tone to different readers. As a writer, what you want is an invisible attribution; you want a dialog tag that won’t make readers pause. Say it with said. It’s clear, understood and allows you to not intrude as a writer upon the speaker. What I’m learning from Bell in his book (which I highly recommend for fiction writers) is that “Dialog the fastest way to improve your fiction.” He dedicates an entire chapter to this point. So, don’t get caught up in crafting creative attributions or dialogue tags, study the nuances of fictional dialogue and use it to shape your story and create character action. I’m thinking this is a big lesson given the number of reminders I’ve encountered in a single week from diverse sources. “That’s our writing tip from Carrot Ranch for the week,” the buckaroo said. 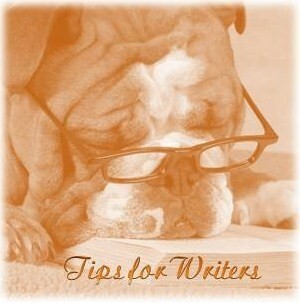 By Charli Mills in Tips for Writers on March 4, 2014 . I never would have thought about it. Your examples make perfect sense. I will be the first to admit, I absolutely hate it when I am reading a book and the author has clearly stuffed it with “flowery” words that I have to stop and question the meaning. Writers actually create images with words and anything that disrupts the flow kills the image. Same for narrative–even if the story doesn’t need to be imagined, it still needs to flow uninterrupted by the writer. Love James Scott Bell. And love your writing. Reading James Scott Bell is like having mini-workshops in my living room. Thanks for stopping by!